You know when you get a blow dry in a salon, and leave with your hair bouncing and feeling amazing? I want that all the time! Granted most times I'm much too lazy to bother with giving myself a blow dry and generally just roughly blow dry, then style further if I want to. 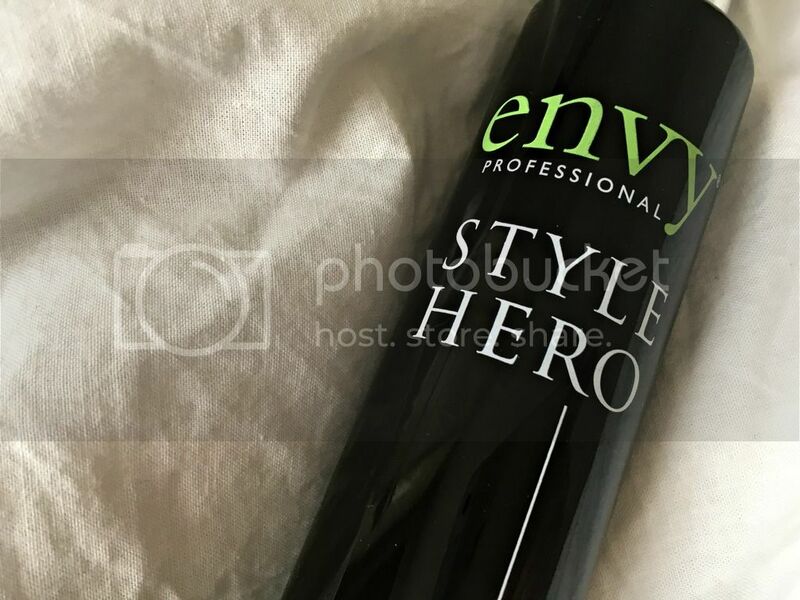 The Envy Professional Style Hero (£14.95 for 150ml) is a super lightweight serum type product that you use on damp hair before blow drying, or leaving to dry naturally that promises to give you the salon 'wow' factor. It helps calm flyaways, and leave hair with shine and much more manageability. I found using this alongside texturising products helped to avoid a dried out, frizzy finish. It also helped enhance my colour thanks to the Keratin,Silk and Wheat protein infused formula conditioning my hair. I chose to ignore the directions on the back of the bottle, as thought 5-10 pumps was far too much product for my mid length hair. I went with three which was plenty and used a comb to make sure the Style Hero was evenly applied to my hair. I think you could even add this to your volumising mousse to give some super styling to your hair. The Style Hero has got a great fruity scent to it, and this stays with the hair throughout the day. Because of the lightweight formula I found with a little blast of dry shampoo, I could go three days without washing and the casual beachy style waves I tend to wear still looked great, and the ends looked conditioned - something I always struggle with. I'd definitely recommend to those who want a professional result, without the effort. 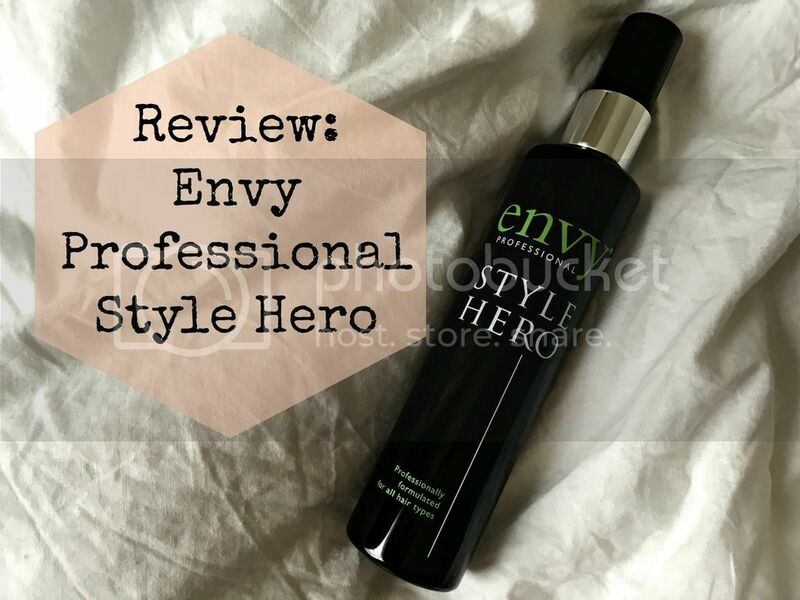 Just make sure you tailor to your own hair needs, a little trial and error may be required, but once you've got it the Envy Professional Style Hero* will certainly become a staple in your styling routine.